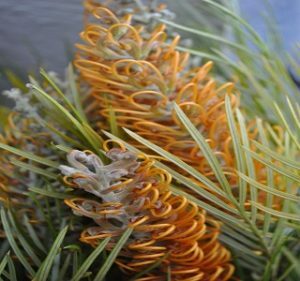 Glorious Grevillea – beautiful flowers, unique filler, fabulous foliage and an amazing plant. 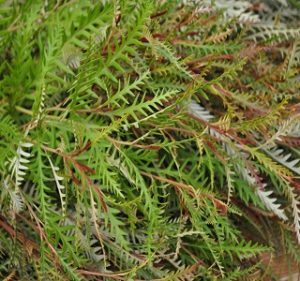 This species has amazing growth habits, ranging from flowering groundcover, to beautiful scrubs and hedges, to tall colorful trees. The flowers range in color from white to pink, yellow to red and their size can be small and spider-like or large and bottlebrush-shaped. 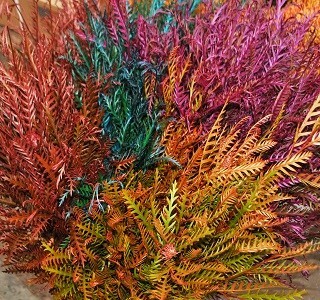 Foliage can be sharp and needle-like, soft and fern-like, or long branches with colorful jagged edges. 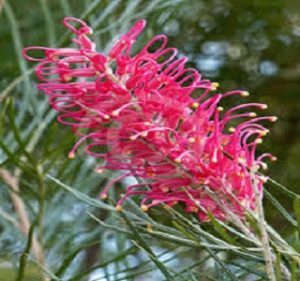 The Australian species of Grevillea comprises of about 313 different varieties and 200 cultivars, and that number is continually increasing. 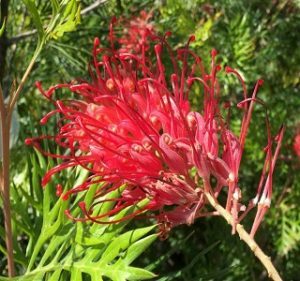 Named for Charles Francis Greville, was one of the founders of the Royal Horticulture Society in 1804, this member of the Proteaceae family is now cultivated by commercial growers and gardeners in many parts of the world. 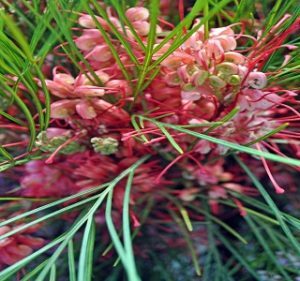 Some of the hardiest Grevillea have been grown in the United Kingdom for more than 100 years. 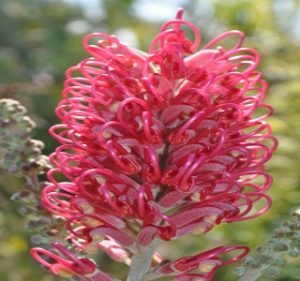 Grevillea is also widely grown in the United States, South Africa and the Riviera, while the tropical varieties are cultivated in warmer parts of South Asia. 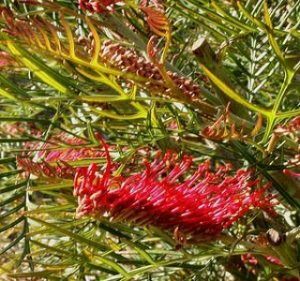 Protea, Leucospermum, Leucadendron, Banksia, Filler Flowers, Foliages, Kangaroo Paws, Specialty Flora, Bouquets & Wreaths and Plants.